Find the best holiday home for you and call the owner - or send an email. Most adverts are linked to a homepage. Click on the underlined location and see the holiday home before you make up your mind. Search for a certain village or location: Press CTRL + F and write the name in the seachbox. Virksund. New 60 m² cottage at Virksund. View over fjord/harbour. 7 beds. Sat-TV, woodburner, large terrace. Close to beach, grocery, swimmingpool and golf. Spøttrup - Skive. Holiday house for 8 persons, 75 m², 50 meter from a child friendly beach. Large property with grass, playing wood a.s.o. Ålbæk strand - Limfjorden. Attractive 78 m2 summer cottage for 8 persons. 3400 m2 ground with a big lawn in a quiet atmosphere. 250 m from a lovely beach, water amusement park and a big camp site. Skive. Limfjord at Spøttrup, 6 beds, 600 m to bathing beach, large undisturbed property with lawn, woodburning stove, radio, tv with parabol, 2 covered terraces. Thyholm. Nice arranged holiday house for 10 persons on a manor at the Limfjorden. Quiet surroundings at own forest and beach. Boat rental, playing ground and place for a bonfire. Handbjerg - Struer. Wonderful wooden cottage of 78 m2 for 6 persons and with view of the Liim Fiord. 3.200 DKK/week. Child-friendly bathing beach and great playing field with petanque field nearby. Astrup Vig - Skive. Recent handicap-friendly holiday house with spa and solarium on large undisturbed site overlooking the Liim Fiord. Easy wheelchair access. Jegindø. Holiday cottage of 110 m2 for 6 persons - 100 m from the best bathing beach in the western part of Limfjorden. View of the fiord. 4 Bedrooms. Dinghy at your disposal. Gjøl. Lovely 6-person cottage of 77 m2 close to Limfjorden in quiet area with many animals. 3 bedrooms. Fine bathing and angling facilities. Rowing boat at your disposal. Engine may be rented. Dayz Rønbjerg. Rowhouse of 92 m2 with large living room and open kitchen, 4 double bedrooms, 2 bathrooms and 3 sun terraces. Large holiday resort with a great waterpark, hall for activities, badminton, squash, tennis, own golf course, football, bathing beach etc. Rønbjerg. Cosy rowhouse of 46 m2 with living room and open kitchen, 2 bedrooms, bathroom and sun terrace. Large holiday resort with a great waterpark, hall for activities, badminton, squash, tennis, own golf course, football, bathing beach etc. Dayz Rønbjerg. Fiskerhytte CC, rowhouse of 32 m2 for max. 6 persons. Living room with kitchen, bathroom, 1 double bed and 2 lofts. Large resort with subtropical water park, sports center, tennis, squash, badminton, playground, own golf course, football, beach etc. Dayz Rønbjerg. House of 124 m2 - 2 family kitchens, 4 bedrooms, 3 double couches and 2 bathrooms. Suitable for several families. 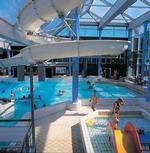 Large water park and many facilities indoors and out. Golf course and bathing beach. Mors - Øster Assels. Farm holiday on a cosy farm with cows, calves, horses, foals and a possibility of riding. 130 m2 for up to 6 people. Near the beach and close to Jespershus Floral Park. Mors - Ørding. Beautiful country house in 2 storeys on the sunshine island of Mors. The house is 200 m2 and ideal for 10 people who love sun and beach and wish a little more space. Kitchen, 3 bedrooms, 3 lounges. Skive - Lundø. Charming thatched cottage on 2 levels located on the scenic peninsula Lundø by Skive Fjord. Large plot of 2500 m2 overlooking the beautiful fjord. Patio, newly refurbished bathroom with underfloor heating. Swings and a small dinghy. Handbjerg. Lovely pool house for 10 people + 2, pets permitted. 5 bedrooms + open loft, 2 bathrooms, all white goods, fine open and light living room. Off season possibility for mini holidays, Thursday-Sunday or Sunday-Thursday. Mors - Vildsund. House for use all year round on a nature ground, for 8 persons for rent - direct to the beach with panoramic view over Limfjorden. 3 bedrooms. Trend. 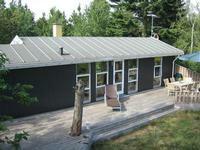 100m2 holiday house on large undisturbed nature site close to the Limfjord, accommodating 6 people. 2 terraces, 3 bedrooms and annexe. Skive - Thorum. 530m2 summer house in pretty surroundings, accommodates 20 people. 8 bedrooms, 2 bathrooms, dining room for 60 people. Wilderness bath, solarium, sauna, pools table, PS3, table tennis, sandpit, grill, bonfire place, wood. 4.5 hectare site/park. Handbjerg. Cosy cottage overlooking the fjord and close to lovely beach. The house was renovated spring 2014 and appears nicely. Good holiday area with large playground and a new harbour / marina. Here is a good place to advertise your holiday home for rent. Add your holiday home here!